The College Center is a student-centered office. We are open (almost) all the time; before school, during the day, after school, sometimes in the evening and during the summer. We help students prepare and plan for college (college search, testing, essays, applications, recommendations, transcripts, etc. ); if it's college-related, the College Center is the place to come. We are here to help students through the high points - and the low points - of the college application process, dispensing advice, hugs, high fives, sometimes a shoulder to cry on. 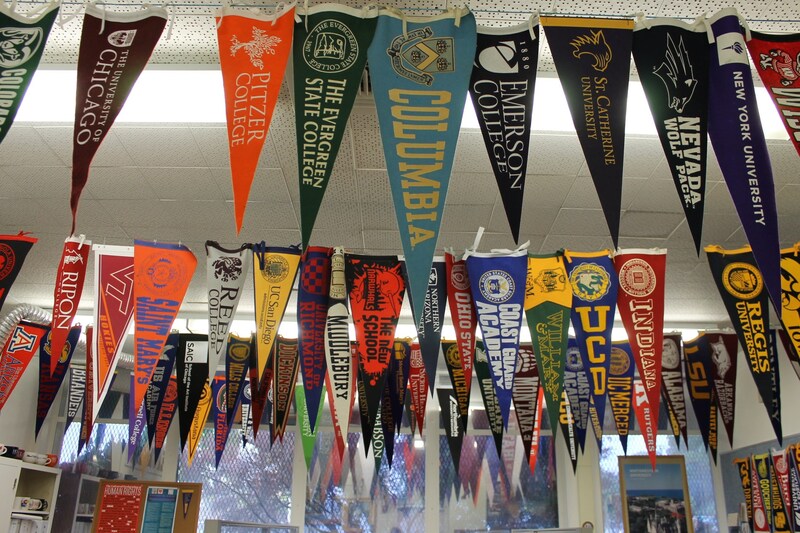 95-97% of Palisades graduates go on to attend two and four-year colleges and universities, at public and private institutions across the country. Assisting our students in their college preparations is a dedicated College Center staff. College Center page on school website; go to www.palihigh.org and click on “Offices"
College Center events and college visits posted on Naviance Student. For student athletes, visit www.corecoursegpa.com, See College Center for access code. Email: You can reach us at collegecenter@palihigh.org; we answer email daily. Naviance Student – web-based college planning and application management system. Use the following links to access information of interest to you. Please note that you are leaving the Pali website when you do so, and that we are not responsible for the content of those sites. Pay for AP Exams- AP exams listed under "Product Categories"
This is a partial list of the more than 125 Colleges and Universities that visit Pali.